The Nintendo Switch, as with many Nintendo systems, seeks to innovate on what we view as the traditional video game console. As a hybrid console, the Switch offers a form of play similar to that of its competitors — namely the Xbox One and PlayStation 4 — while acting as a bridge between Nintendo’s home and portable markets. While it doesn’t achieve technical parity with the other modern consoles, the Switch does seem to be the first Nintendo console in several generations to seriously compete with Sony and Microsoft. When it comes to Nintendo Switch versus Xbox One, the Switch is seriously appealing. Still, if you’re in the market for a new console, you shouldn’t be quick to write off other options just because the Switch appears to be the flashiest option. We’ve broken down the similarities and differences between the Switch and the Xbox One family of consoles, including the newer, more powerful Xbox One X, to help ensure you make the right choice for you. In terms of hardware design, the Xbox One and Switch are completely different machines. The Xbox One looks and operates like a traditional gaming console. It weighs more and takes up significantly more space than the Switch — even when compared to the lighter, more compact Xbox One S. In home console play, the Switch’s 6.3-inch display slides into the included dock, taking up a sliver of space on your entertainment center. 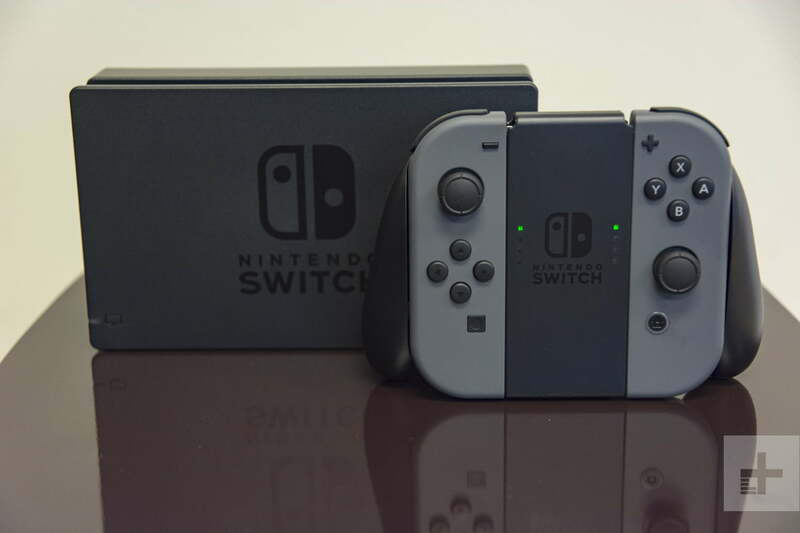 The Nintendo Switch comes in two color schemes, both of which are primarily black. The only difference from model to model is the color of the Joy-Con controllers that come with the device. The two standard models come with either a pair of gray Joy-Cons or with mismatched neon red and neon blue Joy-Cons. 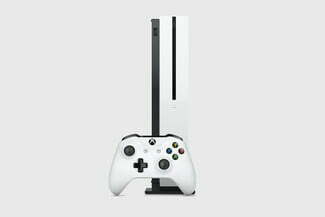 The Xbox One, One S, and One X are sold in white and black models, respectively, with a mix of glossy and matte finishes depending on the model. There have also been limited-edition Xbox One and Switch models, which include alternative designs based on specific games. In terms of media, the Xbox One uses Blu-ray discs and is capable of playing both Blu-ray films and DVDs. By contrast, the Switch cannot be used as a media player. The console does not have a disc drive, so it cannot play DVDs or Blu-rays. Similarly, the Xbox One has access to a full suite of streaming apps, including Netflix, Amazon, HBO Go, and more. The Switch has only one streaming app, Hulu, so your media viewing options are limited. For network connectivity, the consoles both have a wide range of Wi-Fi support including 802.11 a/b/g/n/ac, but the Xbox One also supports onboard Ethernet. The Nintendo Switch requires an additional accessory to plug in an Ethernet cable. You might be wondering what to expect and what you’ll need while online with these consoles. For the Xbox One, you’ll need an Xbox Live membership to play multiplayer games. It costs $60 annually but also grants you access to two free games a month with the Xbox Games with Gold program, which can be played indefinitely with an active subscription. For Nintendo Switch, you’ll need to subscribe to the Nintendo Switch Online service. It costs $20 for a full year, $8 for three months, and $4 for a single month, and a family membership plan can also be purchased for $35 a year so that multiple accounts can take advantage of the online subscription on the same Switch system. It’s important to note that for online gaming, Xbox Live has voice chat, party systems, and social elements to connect with friends. The Switch features a far less robust version of these services, and all in-game chat requires a dedicated mobile app. Since the Switch doubles as a portable console, battery life is of the utmost concern. 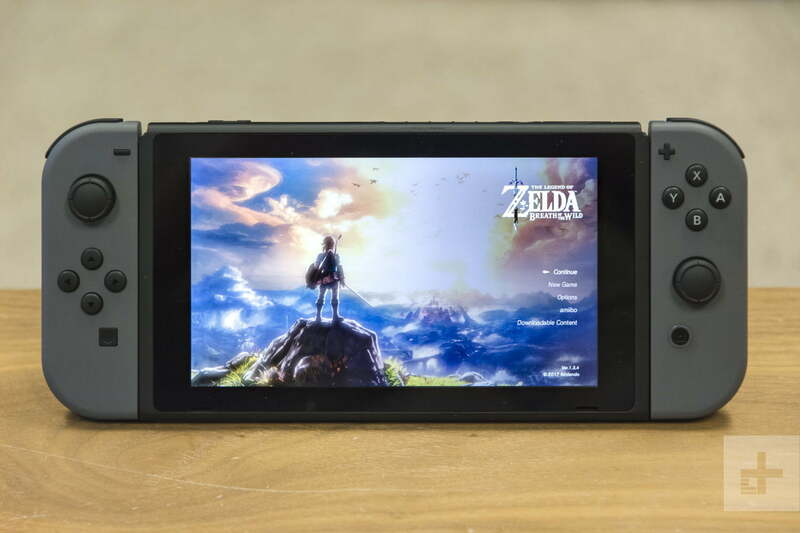 The Switch lasts anywhere between 2.5 and six hours on a full charge, with demanding games like The Legend of Zelda: Breath of the Wild capable of running for roughly three hours. The unit charges via USB Type-C. The Joy-Con controllers can last for 20 hours on a single charge. For comparison, Xbox One controllers can last up to 40 hours with a pair of AA batteries, or 30 hours with Microsoft’s rechargeable battery. While the Switch comes with more gadgets — the portable unit, Joy-Con controllers, Joy-Con grip and straps, and a dock — and has plenty of interesting design flourishes, it lacks many features that players have come to expect as standard in recent generations. Two years after launch, the system still lacks video apps such as Netflix, despite its portability and built-in stand making it an ideal platform for watching them.